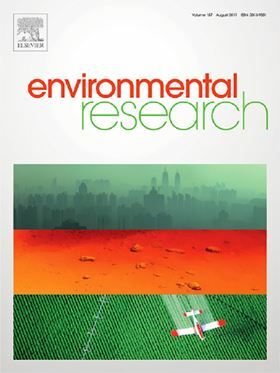 The research article 'Zerovalent iron-sand filtration can reduce the concentration of multiple antimicrobials in conventionally treated reclaimed water' will be published in Elsevier journal Environmental Research. Irrigation with reclaimed water is increasing in areas that lack access to, and infrastructure for, high-level treatment and distribution. Antimicrobial residues are known to persist in conventionally treated reclaimed water, necessitating the investigation of reuse site-based mitigation options to further reduce these contaminants. We examined the effectiveness of a 50:50 volume/volume, particle matched, micro-scale zerovalent iron (ZVI)-sand filter in reducing concentrations of mixtures of antimicrobials present in pH-unadjusted conventionally treated reclaimed water. Twelve antimicrobials (azithromycin, ciprofloxacin, erythromycin, linezolid, oxacillin, oxolinic acid, penicillin G, pipemidic acid, sulfamethoxazole, triclocarban, tetracycline and vancomycin) were quantified using high performance-liquid chromatography-tandem mass spectrometry in reclaimed water, and ZVI-sand filtered reclaimed water, in a two-month long greenhouse-based experiment. Data were analyzed using a non-parametric rank-based approach. ZVI-sand filtration significantly reduced concentrations of azithromycin, ciprofloxacin, oxolinic acid, penicillin G, sulfamethoxazole, linezolid, pipemidic acid and vancomycin. Azithromycin, the antimicrobial with the highest median concentration (320 ng/L), was reduced to below the limit of detection after ZVI-sand filtration. Inorganic element (antimony, beryllium, cadmium, chromium, iron, lead, selenium and thallium) and water quality (free and total chlorine, nitrates, nitrites, pH and total dissolved solids) analyses showed that ZVI-sand filtered reclaimed water quality (nitrate, salinity, and inorganic elements) met the recommended guidelines for agricultural irrigation with reclaimed water. Based on our initial results, ZVI-sand filtration may be a promising basis for a point-of-use filtration system for reclaimed water irrigation on small-scale farms. The latest advances and technical features of nuclear desalination plants are reviewed. This study uses an extensive experimental procedure to measure separation characteristics of polymer membranes. This analysis shows that RO is significantly more energy efficient than CDI.